Here are three photos from a Chaplain in Kandahar showing the care packages that arrived from the Airborne Angel Cadets of Texas. 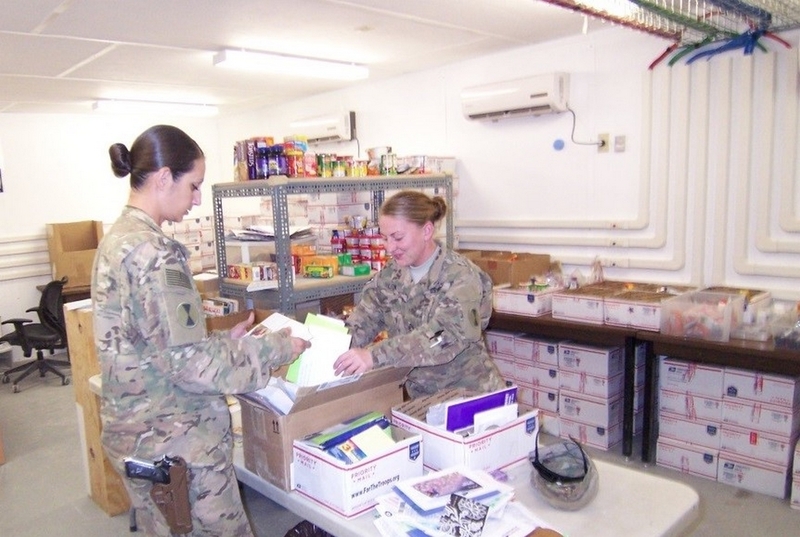 These boxes were packed at the January 9th packing parties. 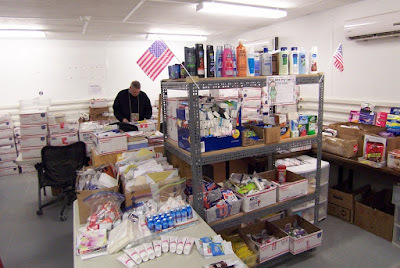 They contained toiletries, food, snacks and Valentine goodies. It's good to see they received the boxes in time for Valentines Day. 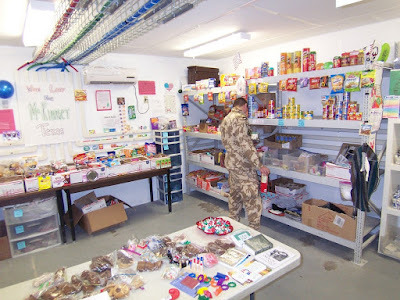 A soldier "shopping" for items received in care packages. soldiers to select what they need.